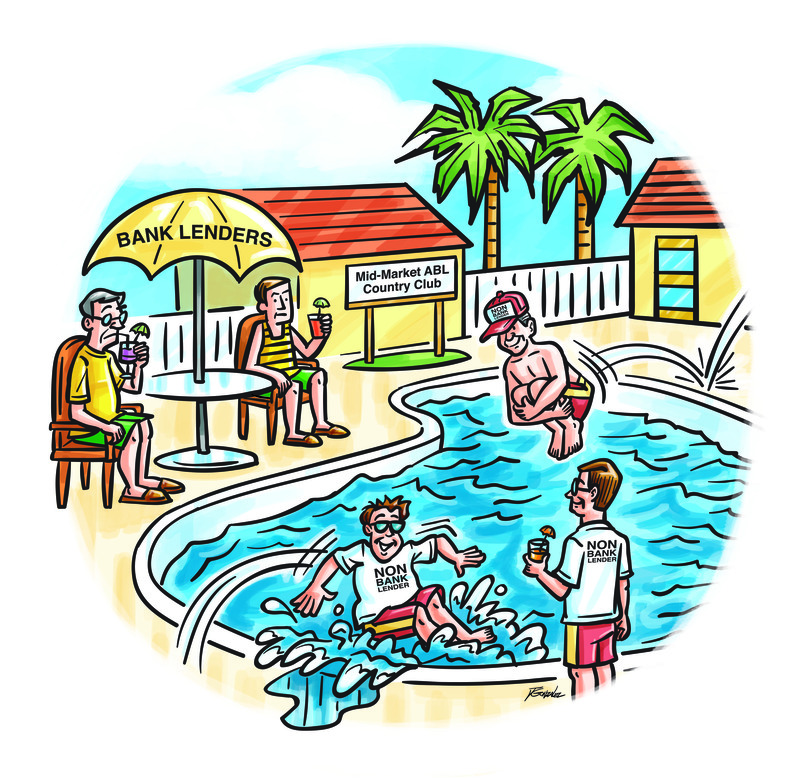 ABF Journal illustrator Jerry Gonzalez provides his take on stricter banking regulations, which are creating new opportunities for non-bank providers of asset-based lending services to small and mid-sized businesses. According to market commentary from Old Hill Partners, stricter banking regulations are creating new opportunities for non-bank providers of asset-based lending services to small and mid-sized businesses. As regulators are forcing banks to bolster liquidity and capital levels to prevent a replay of the global financial crisis, their middle market lending has dwindled. This presents an opportunity for non-bank providers of ABL solutions to provide loans to businesses in need of working capital.